Used in light cultivation and row cropping, also used to assist in controlling weed growth and water penetration. 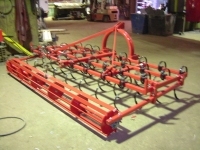 These units come in either 2 row or 4 row and 3 point linkage with cat 1 pins as standard. Features include : reversible points, easy placement of tynes, and additional tynes can be added at any time. 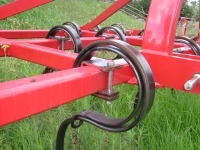 Heavy Duty S Tyne is Now Available with Heavier Tynes and Optional Helper Springs. 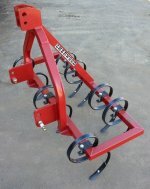 A Crumbler Roller is also available as an option on Standard And Heavy Duty S Tynes.